It is hard to believe that a year has passed since I last blogged a review of a book I have read. Despite reading some really great books over the last 12 months I cannot seem to recall the names of any of them at the moment. As this year's Canada Reads is focussed on non-fiction I decided to pick up previous Giller Prize winners and finalists. 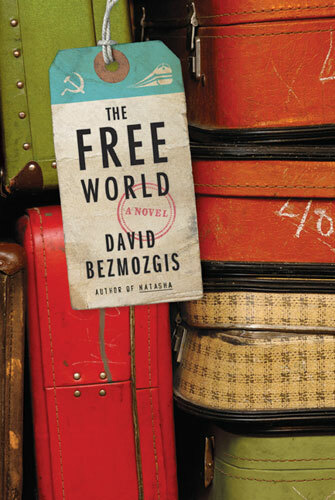 This is how I stumbled upon the novel I am currently reading - The Free World by David Bezmozgis. I am about halfway through and am thoroughly enjoying it. I would highly recommend picking this one up. Prior to this I read Freedom by Jonathan Franzen. This was recommended by a friend and I would recommend it as well. Perhaps I'll be better keeping track in 2012! 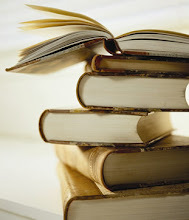 It has been a while since I last blogged about books I have been reading. You can rest assured that I have not given up reading Canadian Lit. I continue to be surprised and elated over the quality of fiction that is out there by Canadian authors. I am at a loss over the names of the many books I have read since June, but here are a few of the more recent ones, that I would highlight recommend you buy from your local bookseller. Locke Street's Epic Books has been keeping me well stocked! Practical Jean by Trevor Cole. In this novel Cole once again weaves a story featuring a unique character with a flair for some dark "practicality". After taking care of her suffering mother who ultimately dies from her illness, Jean begins to ponder life and its inevitable conclusion. She conjures up a plan to spare those who are closest her from a similar fate and what happens is almost unbelievable and keeps you reading on. Cole is a master of the tragic comedy and this is an excellent example of how to take that to the limit. I would highly recommend this read. 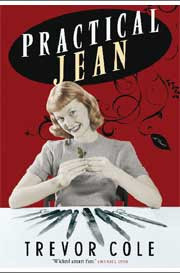 To hear an interview with author Cole from the CBC about this novel go to http://www.cbc.ca/books/bookclub/2010/12/podcast-trevor-cole-discusses-practical-jean.html. If you haven't already, I would recommend you read his other 2 novels which I loved - Norman Bray in the Performance of His Life and The Fearsome Particles. The Bay of Love and Sorrows by David Adams Richards. Written in 1998, this novel is set mainly within a small rural area along a bay between New Brunswick and PEI. It follows the return of a judges prodigal son as he returns to this small community and hooks up with a number individuals who all get tangled in the web of Everette Hutch, a violent man with a terrible scheme that ends in tragedy and loss. This is definitely worthy of recommending! When searching for the cover art for this novel I found out that a movie was produced in 2002 for this novel. See http://www.imdb.com/title/tt0317124/ for information and a review. Sounds like reading the book would be a better bet! 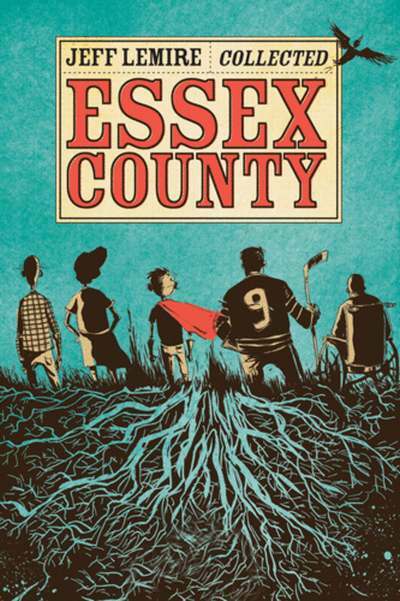 Essex County by Jeff Lemire is the first graphic novel to be included in the selections for Canada Reads. 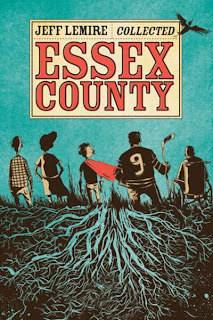 To say that I loved this collection of Lemire's intertwined stories of characters in Essex County would be an understatement. I literally could not put the book down and despite its weight, I carried this book with me until the last page was read, including the amazing "extras" at the back. As one who has read graphic novels before, it didn't take me long to get back into the rhythm of following the images and dialogue. Lemire is not only a supremely talented artist but a great storyteller. It is amazing how much he could say with one drawing. The character development is fantastic. It looks like Jeff is keeping busy .... check out his blog at http://jefflemire.blogspot.com/. I think I'll pick up Sweet Tooth and start following it ... or maybe wait for the compilation again. The Best Laid Plans written by former Liberal strategies Terry Fallis is another one of the contenders for this year's Canada Reads and is a must read. If you are in any way a Canadian political junkie you will be sure to love this book as I did. Even if you aren't, the antics in this book will keep you hooked. Again this was another book I couldn't put down. The book is narrated by one of the main characters David Addison who after discovering his girlfriend in a compromising position with her MP boss, decides to leave his job as a senior writer for the Leader of the Opposition to teach at the University of Ottawa. But his teaching career gets put on hold and he is unexpectedly thrown back into politics. I don't want to be a spoiler so just pick up this gem. You may even recognize some of the "characters"!. I will continue on my journey of completing my reading of the Canada Reads selections by reading The Bone Cage by Angie Abdou. This year I only have 3 to read as I have already read The Birth House and Unless. Then onto Giller Prize winner The Sentimentalist. Last night I stayed up well beyond the Olympic evening coverage to finish the last pages of Wayson Choy's The Jade Peony, one of the 2010 Canada Reads Selections and my sixth read for the Canadian Book Challenge. I really enjoyed this book. The mixture of historical references of Chinese immigrants living in Vancouver during the first world world war and the intimate stories of 3 young Chinese-Canadians as they grew up in the Chinatown district was a most enjoyable and wonderful read. The author guides us through the story of a multi-generational Chinese family through the eyes of the 3 youngest children - Liang, Jung and Sek-Lung. After I finished the first section on Liang, I was disappointed it had ended, almost frustrated at this. I wanted to learn more of what happened to this young girl and felt that I couldn't possibly enjoy section 2 which was narrated by Jung. But then I got wrapped up in his story and was once again drawn in. The same was true for the last section, the longest of all 3, narrated by Sek-Lung, affectionally (or not) known as Sekky. I was suprised to read the reviews which said it was a story about nothing but that the small details of the characters were enough to make the story enjoyable. I found the opposite. I felt there was so much story in each of the narratives. Many characters and many nuiances which were engaging and captivating. I was very excited when I read on the jacket that there is a sequel already written. I can't wait to get this one. Just over a week ago I finished reading Generation X: Tales for An Accellerated Culture by Douglas Coupland, published in 1991. This novel popularized the term "Generation X" which refers to the generation of people born from 1960 to 1970 and were adults in the 80's. This is my 5th read for the Canadian Book Challenge. I had a bit of trouble motivating myself to get through this book despite the fact that it was the selection from Canada Reads I was most excited to get to. I thought it would be a very quick read, but wasn't. 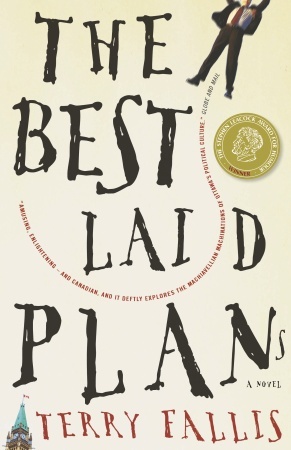 The novel follows Dag, Andy and Claire, all mid to late twenty-somethings as they discuss life, relationships and jobs. Beyond this, there isn't much of a story. What I did enjoy were the pop cultural references sprinkled throughout the book. I particularly enjoyed the cartoons and definitions in the side panels of most of the pages defining words like "Mcjobs" and other phrases that I think Coupland just made up to describe a certain set of circumstances for a particular type of person. I think I perhaps tired of this story as I have gone beyond the I don't want to work for the "man" mindset that the main characters in this story have and revel in. This is the third book I have read of Coupland's, having read Life After God and Jpod. I really enjoyed Jpod so this was a bit of a surprise. I did warm up a bit to this novel at the end, but I have to say, not my choice for the Canada Reads so far. I have moved on to the Jade Peony which I am already enjoying. Yes, it is just days away from being Christmas but it is also week 4 of the CBC's Canada Reads Festivities. For details visit the site. As an avid reader of Canadian literature, it is my most favourite time of the year ... anticipating the books that are being defended by the all-star Canadian celebrity panel and being able to share a love with the entire country - or at least those that listen to the CBC. Last year my family collectively purchased me the entire collection and I read them all prior to the debates. I hope to do the same this year. Once again I have not read any of the books (or at least I don't recall doing so) so this will be very exciting. I am really interested in reading Gen X by Douglas Coupland. I may have read this some time ago, I'm not sure. I have read Life After God and Jpod both of which I loved, so I am almost certain to enjoy this modern Canadian classic. The one selection I am not as excited by is Nikolski. This novel has been translated from French to English, and while it won a GG award for the translation, my experience with The Fat Woman Next Door is Pregnant last year which I didn't like at all has weakened my interest for translations. Something gets lost. But we'll see. I plan to read it anyway and will post my review on this blog. 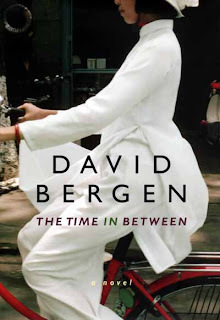 The Time In Between by Canadian author David Bergen is a sad and almost haunting tale of a man, Charles Boatman, and his journey back to Vietnam in an attempt to shake himself of the demons that have haunted him since his time as a young soldier in the Vietnam War. Whether he is looking for love or redemption or forgiveness, he is not sure of, he just knows he must leave his home in remote BC and find out. When he doesn't return home, 2 of his children travel to Danang to find him. The story switches in narration from his daughter Ada and Charles himself. Ada's travels to this country become her own personal journey of discovery of understanding herself and her father and finding forgiveness for him. Once I got into the story I had difficulty putting it down as Bergen's character development and the narrative drew me in. I would recommend this book. This is my fourth read for the Canadian Book Challenge. I think that somewhere along the line I missed putting in a review of the book I read previous to this. I am still not finished Blackstrap Hawco as I cannot seem to get engaged in the story. 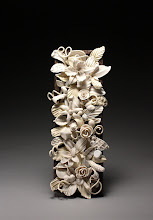 Tara Lynne Franco is an award-winning Canadian ceramic artist and avid reader of Canadian fiction. I have been reading Canadian fiction almost exclusively for at least the past 4 years. The Book of Negros by Lawrence Hill - my favourite so far!! !